Some hotel air purifiers feature a HEPA filtration system that can be easily vacuumed once it gets too dirty, which means you’ll never have to worry about buying replacements. Purifiers even operate quietly, so they won’t disturb your guests while they’re staying in your cozy rooms. We also offer hotel room odor eliminators that use a carbon filter to neutralize odors. Also make sure to check out other great items from Allergy Pro, Bionaire, Febreze, Fellowes, Hamilton Beach, Holmes and Honeywell. Whether you run a modern, upscale hotel or a charming bed and breakfast, it’s important for your business to provide clean rooms for your new and returning guests. Hotel room air purifiers capture different allergens, like pet dander, dust, and pollen, so your customers don’t have to worry about having any allergic reactions. These products can be placed in both vertical and horizontal positions, so they won’t take up much space in your rooms. We also have odor eliminators that feature a filter replacement indicator, making it easy to know when it’s time to change the cartridge. For more hotel supplies, check out our coat racks, luggage carts, and hotel shower curtains. 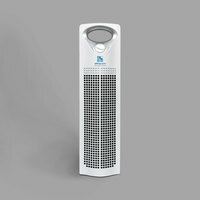 If you're wondering where to buy allergy pro hotel room air purifiers / odor eliminators and filters, we have a large selection of allergy pro hotel room air purifiers / odor eliminators and filters for sale at the lowest prices.